I don’t have a real story to share with this one, I’m just a sucker for traffic scenes with two or more modes of travel. This one was taken c. 1980. 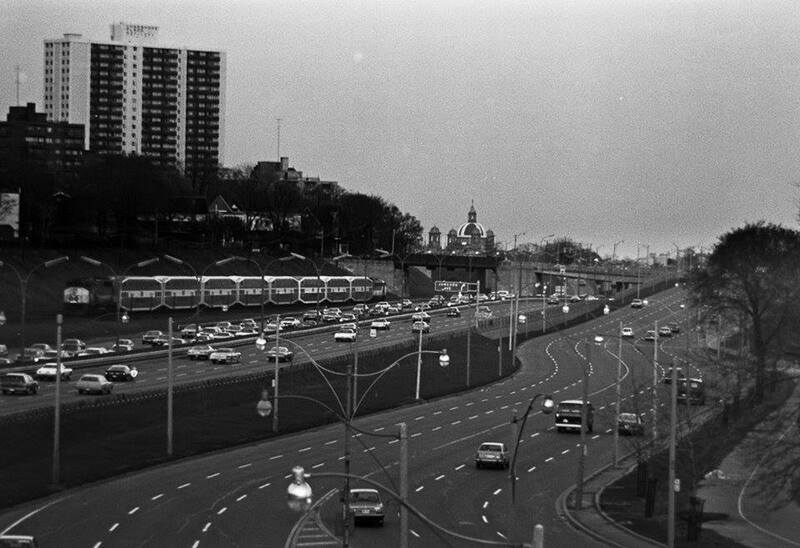 Image: Lennart Möllerström via Vintage Toronto. I don’t have much to say with this one, other than I am an absolute sucker for images of Canadian cities with two or more modes of transportation visible. It’s in part why, when on business this year, staying at the Holiday Inn Yorkdale (at Dufferin) has been a joy. It must have been all of those 1960s 16mm Ontario booster filmstrips I saw during the 1980s and 1990s in school. Far from bitter or even cynical, I actually cherish those memories and am always excited when I can get a glimpse. Since this image was just taken immediately to the south of Toronto’s Parkdale, I’ll just link to the two things I’ve written about that neighbourhood. There will be more, of course.